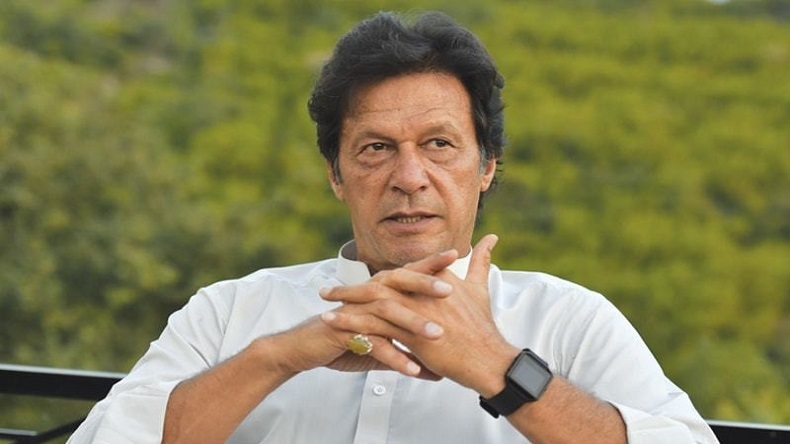 Newly-elected Pakistan Prime Minister Imran Khan on Thursday said that Islamabad is ready to provide any humanitarian assistance to India in view of the Kerala floods. Imran Khan said that on behalf of the people of Pakistan, their prayers and best wishes are with those who have been devastated by the floods and torrential rains in Kerala. Pakistan’s newly elected Prime Minister Imran Khan has offered any humanitarian assistance to India in the wake of Kerala floods, which has devastated the state. After UAE, and other countries, now Pakistan has offered humanitarian assistance to India in order to deal with flood-ravaged Kerala. Pakistan PM Imran Khan while offering help to India said that Islamabad was ready to provide any humanitarian assistance which may be needed for Kerala, to provide relief to the flood-hit victims. Kerala has witnessed the worst flood of the century as more than 380 have died while thousands have been displaced and now residing in shelter homes and relief camps. The state has also witnessed a heavy of loss of public and private property. In order to provide help to the flood-hit state, several Indian states have offered financial aid to Kerala so that the rescue and relief operations can take place swiftly. The torrential rains in Kerala have also created severe water-logging and drinking water problem, landslides, while many transportation services on several train and highway routes have been affected. Offering help to India over Kerala floods, Pakistan Prime Minister Imran Khan said that on behalf of the people of Pakistan, they pray and extend their best wishes to those who have devastated by the floods in Kerala. According to reports, Kerala has so far suffered a total loss of Rs 20,000 crore. A few days ago, Prime Minister Narendra Modi had conducted an aerial survey of the flood-hit state and allotted Rs 500 crore for immediate relief in addition to Rs 100 crore earlier. The Centre had also assured Kerala Chief Minister Pinaryi Vijayan for any sort of help in this hour of grief and said that the entire country was standing with the people of Kerala shoulder- to-shoulder. As relief and rescue operations are still underway, Kerala has asked for Rs 2,600 crore more as immediate relief. Although a number of countries have offered financial assistance to India to deal Kerala floods but New Delhi has said no to accept any foreign financial assistance. Speaking on India-Pakistan relations earlier, the newly elected Pakistan Prime Minister Imran Khan said that Islamabad was ready to respond towards any positive effort for dialogue and said that if India will take one step then Pakistan will take two.